Risk, innovation and disruption – the keys to successful healthcare? This year’s Cannes Lions Health will show us that 2016 has brought about at a point of convergence between established medical practice and technology where a certain amount of risk taking and disruption of existing models of care has become an absolute necessity in order to create a continuous flow of innovation. To better understand the culture that is driving the start-up community and is beginning to fuel healthcare innovation at scale, Cannes Lions Health is featuring an exciting panel discussion on risk, innovation and disruption titled Digital Health Transformation through Open Innovation and moderated by Roberto Ascione, President and CEO of Healthware International. Attending and speaking at Cannes Lions represents a unique opportunity to be surrounded by the elite of our industry and share/collaborate on ideas with thought leaders from around the world. I very much look forward to sharing how Videum uses video to engage with healthcare stakeholders on a global scale. What I am most excited about is the opportunity to meet fellow innovators in digital health and to exchange best practices. Like many of the influencers at Lions Health, Figure 1 is dedicated to changing and advancing healthcare by applying modern solutions to long-standing issues. I look forward to sharing our unique experience and how we are able to successfully engage healthcare professionals across the spectrum of medical specialties around the world. For me it is an absolute honor to be invited as a speaker to one of the most prestigious events in the creative industry. I am really looking forward to an inspiring and lively exchange with the leading creative and health experts in Europe. Host and moderator Roberto Ascione adds that “The value that Digital health is beginning to produce is in great part due to the the amazing work of start ups who do not hesitate to imagine new possibilities and to experiment with new exciting approaches not only scientifically but also in how it is bringing forth the consumerisation of healthcare and wellness services. Our agency has been actively involved in this movement with our innovation division HealthwareLabs which is focused particularly on the themes of Open Innovation and, by default, on the world of start-ups as drivers of transformation. We are extremely proud to celebrate this new way of approaching strategy and business transformation at Cannes Lions, together with these three fantastic teams that, each in their own way, are changing the world of health for the better”. 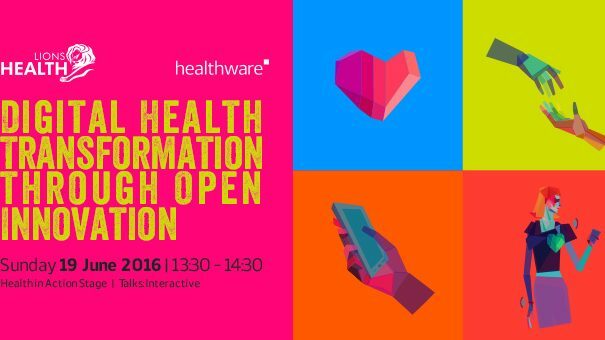 If you are attending Lions Health make sure not to miss this great discussion on Sunday 19th from 13:30 to 14:30 at Health in Action Stage. With a passion for human-technology interactions, profound understanding of the healthcare ecosystem and innovative soul, Healthware leverages the power of technology to improve health outcomes and consistently deliver transformational business results to clients. 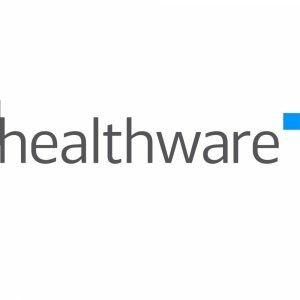 Healthware is lead by CEO and Founder Roberto Ascione, a serial entrepreneur and global thought leader in digital health with 20 years of experience in marketing and communications, business transformation and innovation in health and wellness.